I don’t care for mermaids. Nor have I ever been interested in zombies. I have never wanted to read about diseases and outbreaks. And yet, I’m obsessed with Mira Grant. I am slowly working my way through everything she’s written. And she’s quite prolific. I never ever would have picked up her books if a friend hadn’t recommended her to me. The reason being I don’t really read scary books—I don’t like having nightmares. But her books are not horror at all. They probe what could happen if. . . . And sometimes what happens are dangerous situations that the average person is not prepared to handle. I know I most certainly am not. But after reading her books, maybe I would make it along a little farther in the story than the first person to die. Mira Grant is a thoughtful writer. Correction, well-established, respected Seanan McGuire is a thoughtful, caring writer. So thoughtful that she created a pseudonym when she started writing a new book series—because it was drastically different from what she had already written—she didn’t want to alienate her fans, confusing fairy-loving (magical creatures) readers who picked up her gory, bloody, virus-laden zombie books. “Mon Dieu, a global consciousness, ” I said. 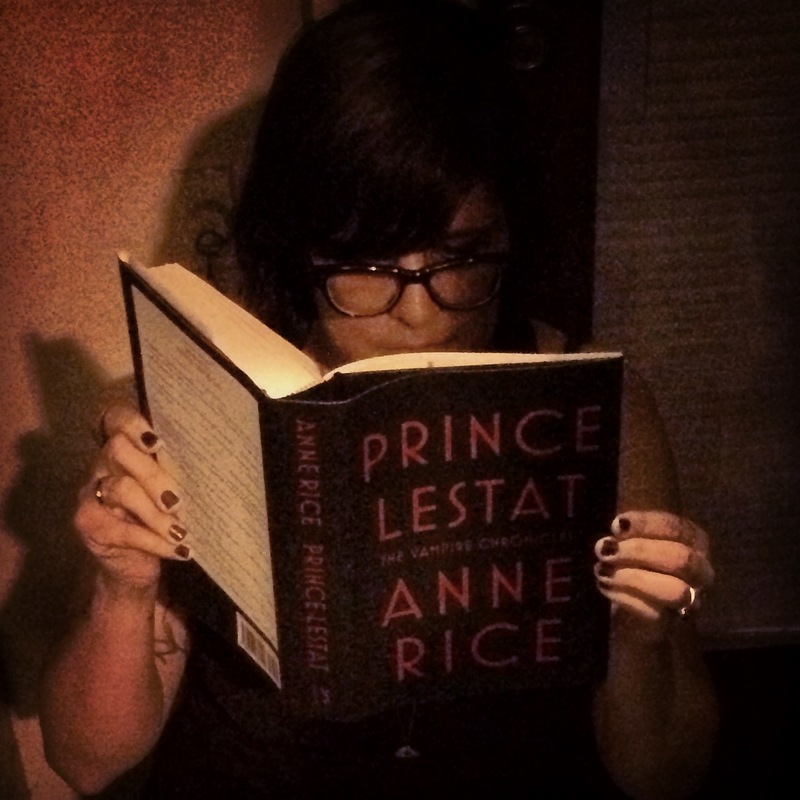 “So I’m going to be blamed one way or another for everything?”(Anne Rice, 52) asks Lestat in Anne Rice’s Prince Lestat. It is at this moment that Lestat learns that he is responsible for the possible destruction of all vampires. 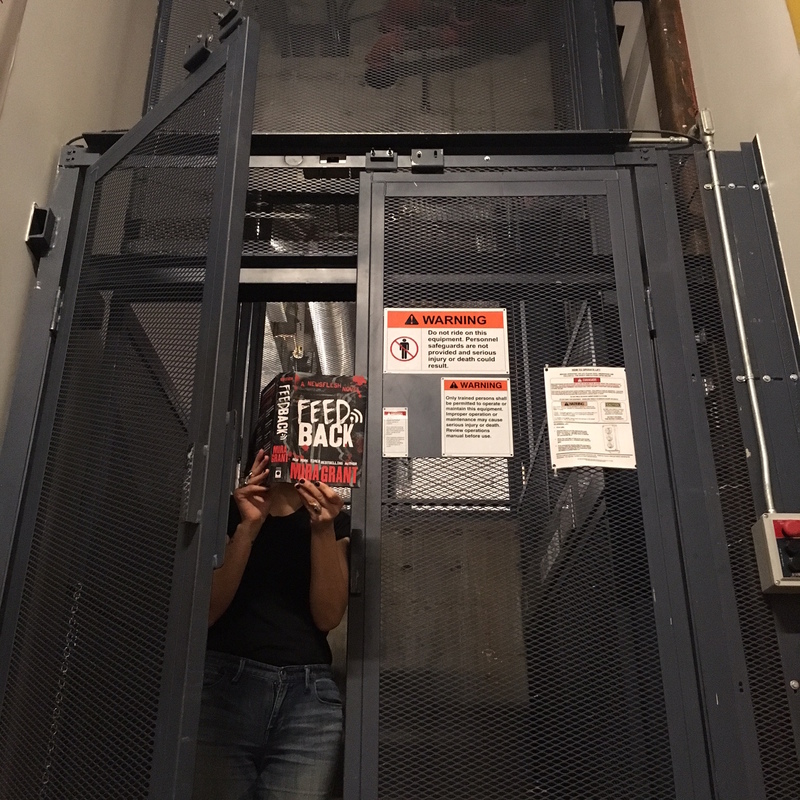 Blackout by Mira Grant: Zombies, Bloggers, and Scientists, oh my!! Zombie bunny ceramic by Skeletal Dropkick. 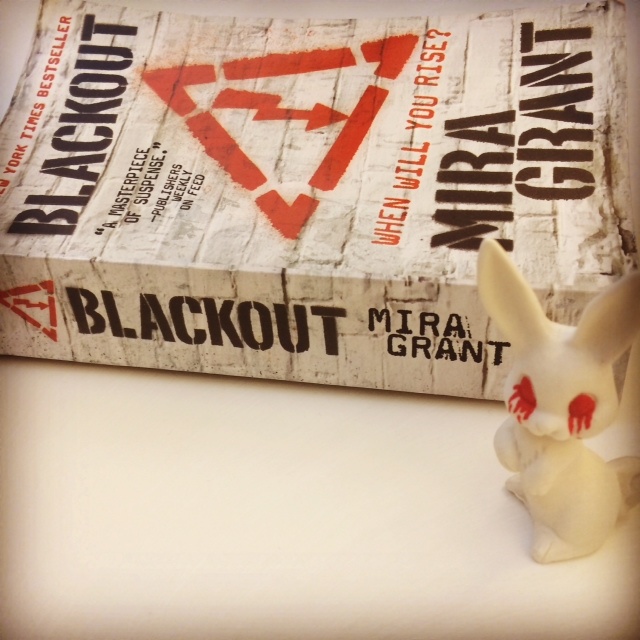 Blackout by Mira Grant is the third book in her trilogy about zombies and the dystopian future. 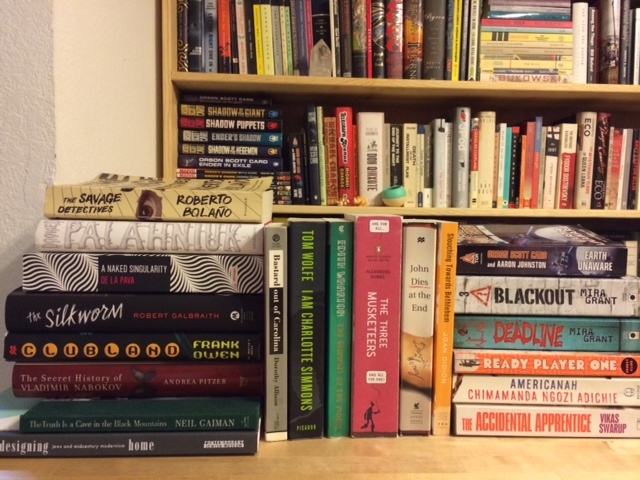 The first two books, Feed and Deadline, explore a Presidential campaign and a government conspiracy.